Cut through steel and other tough metals faster than ever. Unique combinations of metallurgy and blade configurations are tailored for peak performance in specific applications. Unique combination of tungsten carbide and titanium carbide tips b.. Unique combination of tungsten carbide and titanium carbide tips brazed to the teeth. 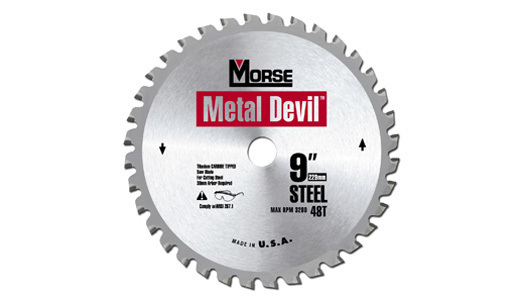 As a result Morse Metal Devil blade offer exceptional wear resistance and make more cuts than any other metal cutting blade on the market today.